It’s difficult to identify the course of the canal in places. 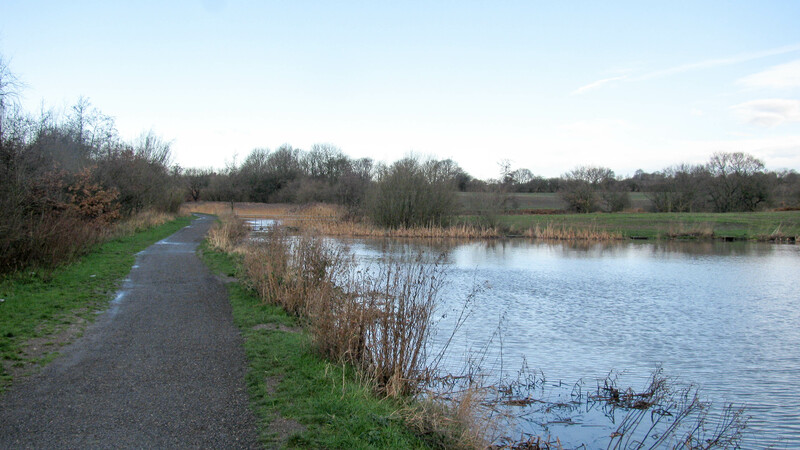 Sometimes the Sankey Brook has been diverted to flow along the course of the canal, sometimes other watercourses flow along the canal before joining the Sankey Brook, sometimes the canal has been filled in with little trace of the original course. To add to the confusion these fish ponds adjacent to the footpath look just like the canal next to the towpath. Even where the former alignment can be identified the restoration may take a slightly different route to aid water and flood management plans.